So much time has passed since I last posted; I sometimes wonder what could be interesting about everyday life, but then I look at some of the pictures and know that it is all not so ordinary. 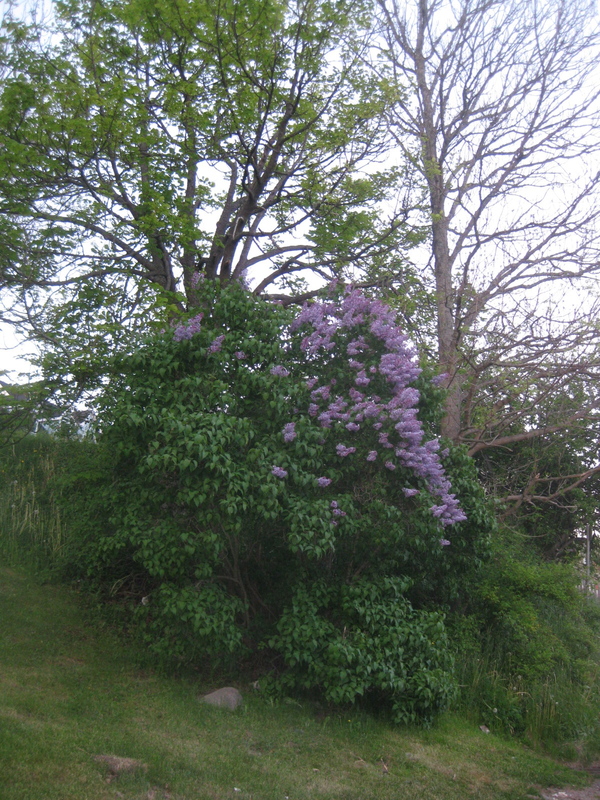 The whole town smelled like lilacs in late spring, and now smells like roses. I walk to work every day past a hedge of wild roses, and drink in the scent. They are beginning to get huge hips. The apple tree in front is loaded with apples, too and they are turning red now. 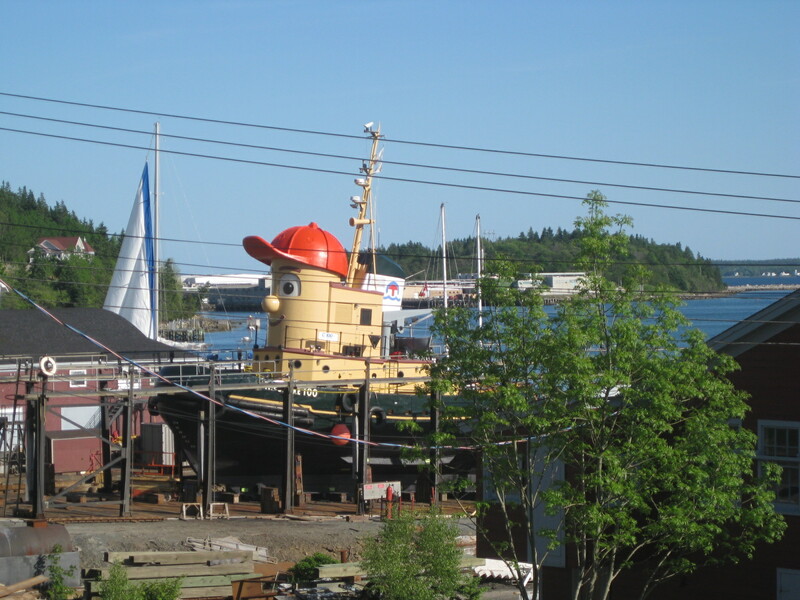 It has been a beautiful summer in Lunenburg. The harbour has been busy, with many ships coming and going, small, large, working, amusing. I went whale watching last week; the booth next to mine runs whale-watching tours, and there was room on a tour one morning I wasn’t working. It was very cool. We saw Minke, Finback and Humpback whales, huge 50 or 60 feet long. Amazing creatures. I heard a program on the CBC, a musician who is also a marine biologist. He had listened to whale song, and realized that there was pattern to them. So he put a microphone down from a research ship, and began playing his clarinet so that the whales could hear, and they began riffing on his songs, back and forth they played together. Whales have only their bodies and senses, no things, no home other than water, constantly moving, hearing, sensing, feeling, thinking. Their songs are heard for thousands of miles, and they know where they are, and where their friends and family are. 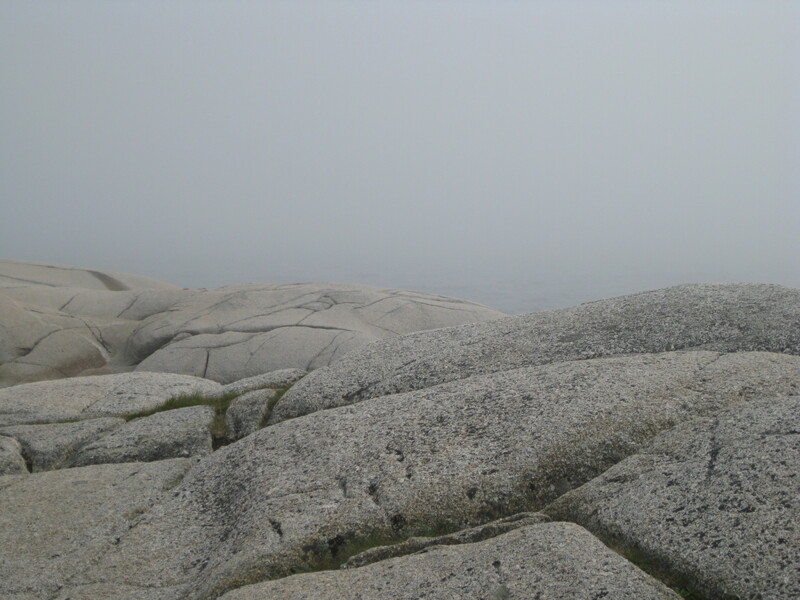 I went to Peggy’s Cove a couple weeks ago. I had a day off, and thought I should do some tourist thing, so many places I haven’t seen yet. It is way off the track, but worthwhile. I didn’t really know what to expect, but it is rugged and beautiful. 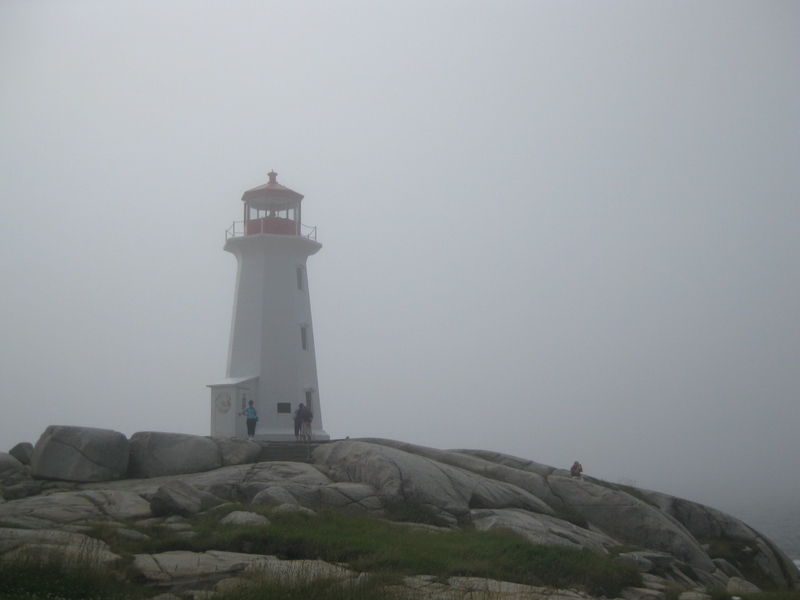 The rock is like elephants, and the lighthouse is quintessential. The town itself is charming and tiny. Today I went to my favourite beach. It is never crowded there, and always has a gift. Last month it was a sea anemone that had come loose. It was like a piece of oriental carpet that was floating, green and brown, red, yellow, round with a fringe of clear tentacle around it. There was a centre mouth or opening, and it floated in front of me for five minutes? twenty-five minutes, the surf moving it, turning it, bringing it close and far, until it finally dragged out to sea again. It is one of the most amazing and surprising things I have seen. Other gifts are walking on the sand – it is so relaxing, massaging feet and ankles and hips, soft some places and hard others. There is beach glass – today I found a piece of yellow glass. Brown and green are easy, but yellow is a find. There are stones and shells, iridescent and striped and spotted, so many colours. Today I found two heart-shaped rocks. 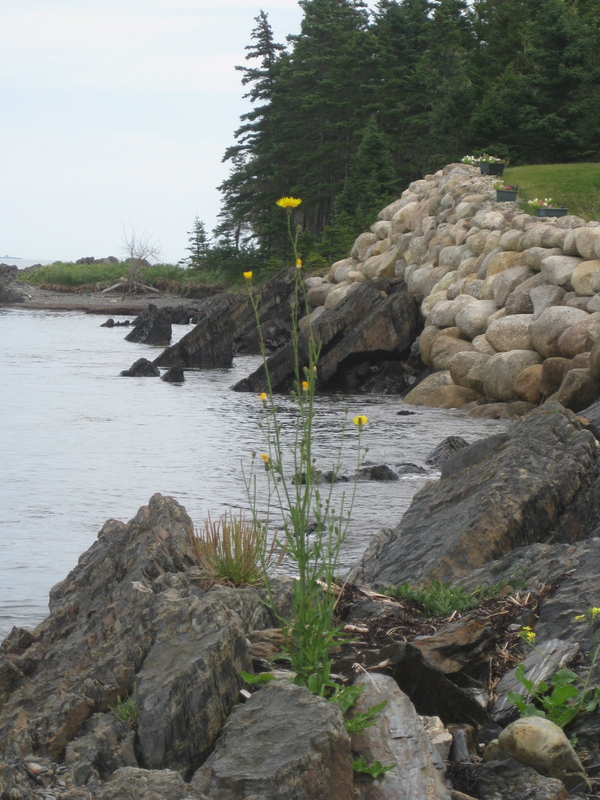 There are also the plants that grow right on the rocks, and out of the sand. I remember plants growing on rock up north, too. Isn’t life just so persistent and tenacious. Birthday coming up, and it seems a time to take stock. 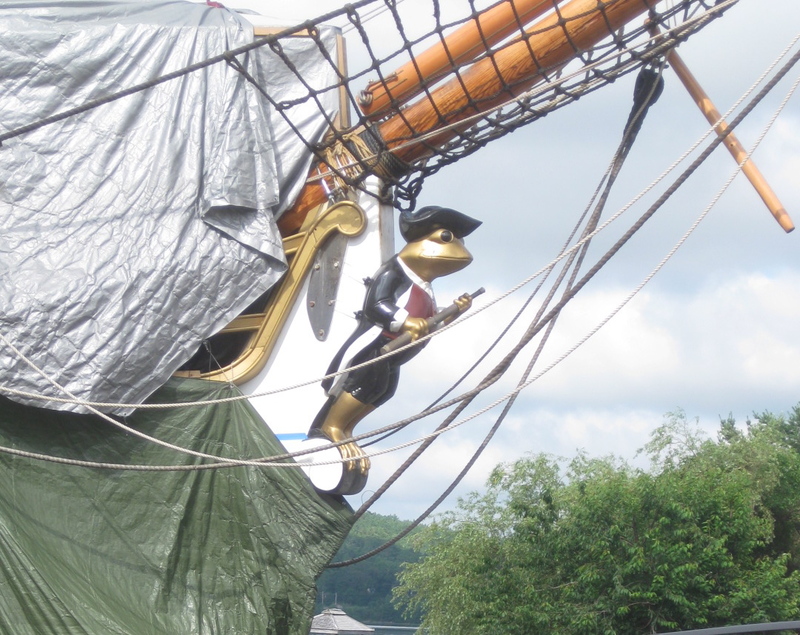 I feel like the small anchor I have dropped here is coming unmoored. I have to work another four or five months in the US to receive full Social Security benefits when the time comes, and I think I may as well do it this winter. I would rather not leave here, as I am feeling connected and home.. On the other hand, the difference to me is too great to let it go. if I leave for a winter though, there is not much to come back to, except my lovely apartment and friends. But longer term, not much going on for work. Unless I earn huge money and can come back and open a little shop or something. Or maybe resettle in Halifax, although I may as well resettle anywhere, it would still be relocating. I am just feeling my way forward on this one, listening to my gut, keeping eyes, ears and heart open to what’s next. 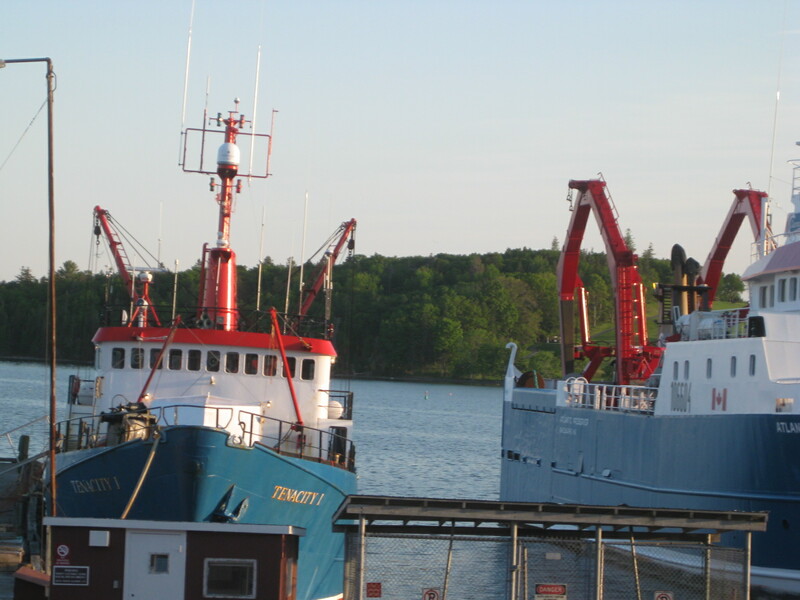 The TV series Haven is being filmed in Lunenburg. I watched it once, couldn’t figure out what the heck was going on, but fun to see familiar sites. There is a feature being filmed here, too. I can’t remember what it’s called. Well, I missed all the pink trees blooming in the South, but here are some that I turned around for. You can see how lush everything is. I worked on Tuesday. The boats there are so large and beautiful. 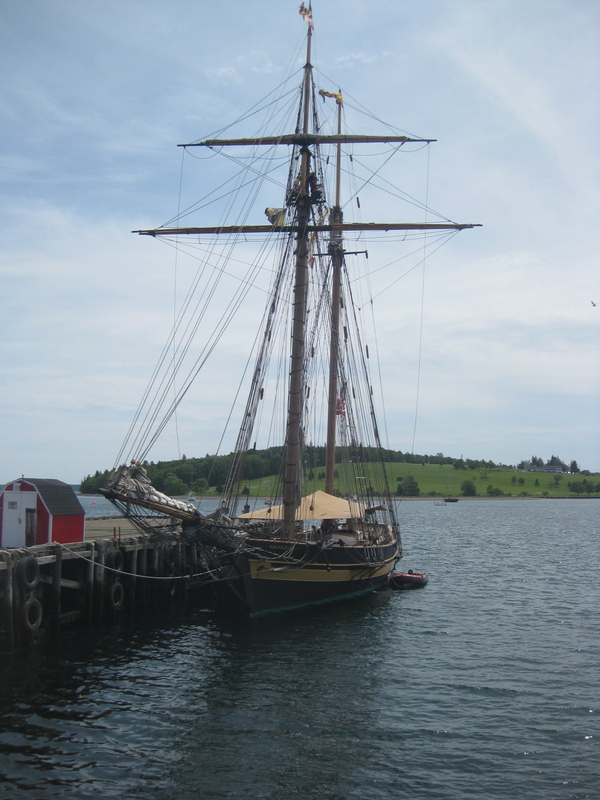 The Picton Castle has just returned from a voyage around the world, and the Bluenose II is here for only a short time. This is home for both of them. It was very busy on the wharf Tuesday, warm and sunny and tourists out strolling, but it has been rainy and chilly since then. Since it is still awkward to do anything fine – the stitches come out Monday, this has been a chance to take care of other tasks; getting papers in order, making phone calls, sorting pictures on the computer. It is amazing how many there are, with no order and no easy way to find anything. When I think of the boxes of photos that waited for years to be labeled and sorted, I guess nothing is new. In a way it is good not being able to just pick up knitting or crochet, but having to think, what do I want to do now? This beauty is right outside my front window, blooming now. In front of that is a weeping cherry. When I look across the harbour now, it is so green. We have had a few days of really beautiful, warm, up in the 20’s weather but today it has turned chilly again – I’m sitting here with a scarf and shawl, it is raining and dark. I have lights on at 4 in the afternoon, here where it doesn’t turn dark until almost 9. It is thundering, too. It sometimes sounds like the whole sea is thundering, rumbling, deep and long. Ah, the price of paradise. I have begun working. 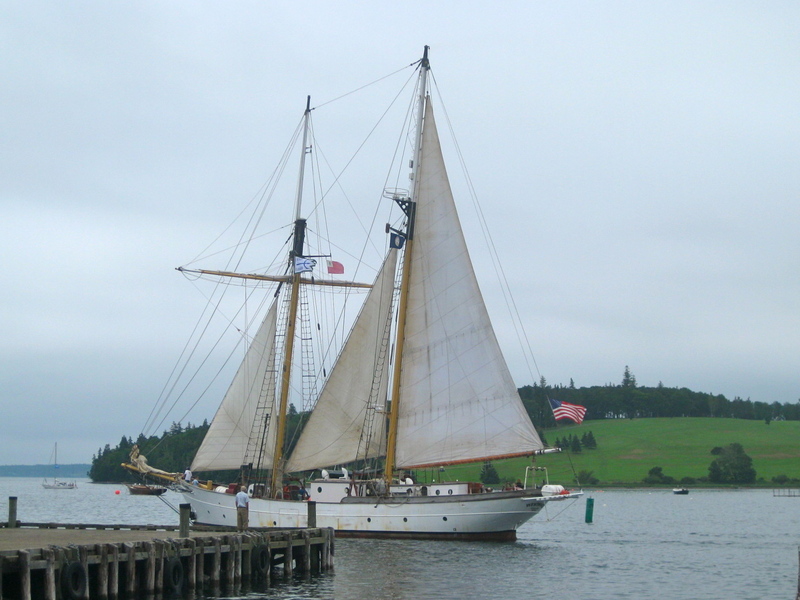 I will be selling tickets down on the wharf for tours of the harbour on the Eastern Star, a 48′ wooden ketch. I will have a chance to take a tour as the season starts. 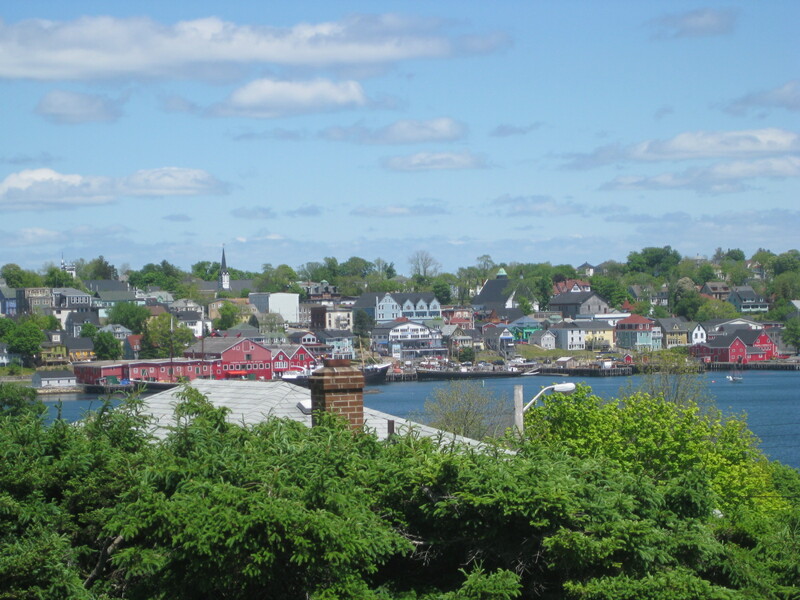 I’m glad to have some income, it will be fun to be outside, meeting many people at the heart of Lunenburg. The first day, though, trying to adjust a shelf on an old metal office cabinet, I sliced my right index finger pretty deep. I knew right away I should go get a tetanus shot – dust, mold, who knows what, but ended up with four stitches as well. A nuisance, kept me off the computer for a few days, better now, but still awkward typing, so this will be fairly short. Doctor said, no washing dishes, yard work, laundry, lots of red wine. A sweet young doctor who just came back from four years practicing in Illinois but came home when his colleagues began harassing him for treating indigent patients. I have been thinking, what is this blog? Not really a journal, where I am recording my most private thoughts – it’s public for goodness’ sake, anyone can come here. It is somewhat like the column I wrote for Northwood Review – I do have you, whoever is reading this, in mind when I write. That means all those who I love, all I keep with such fondness in my heart, all who care enough about me to check in now and then to see what’s new. It is also somewhat of a personal record, and does require a certain amount of discipline. What I hope is that this conveys some sense of place, where I am and what is it like here, and with that in mind, I will strive to make that more vivid, especially while it is still new, with beginner’s mind. But here is what I’ve been thinking. I would invite anyone reading this to contribute your place, give a snapshot of where you are, what it means to you, what you like about your place. I have always preferred collaboration to solo performances, and would encourage you to take a look around and describe it in some way. There are whales and puffins here. I have never seen a puffin, and look forward to them. I guess they come around July. It sounds like July and August are when the town really buzzes, although I have been surprised at the variety of activity that is available since I got here. Two months tomorrow, holy cow! I heard a man who studies whales on the radio last week. He is also a jazz clarinet player. He had been listening to whale songs, and realized that there is structure to them, and that a group of whales will learn the same song and then alter it, and all the whales in the group will then alter it, on and on. He went out with a group with microphones and speakers, and they listened to the whales, and then he started playing clarinet through speakers into the water, and the whales started singing along! Imagine, a pick-up session with whales. What wondrous creatures. I promised myself I wouldn’t let another day go by without posting. Had to fiddle with the photos to upload, and I’ve just come back from another wonderful concert. I’ve heard such a variety of music in the short time I’ve been here. This one was in the beautiful St. John’s church again. It was young people from Iqaluit, Nunavit and Halifax. The group from Nunavit came to Lunenburg because they had a cathedral there which was destroyed by fire in 2005. St. John’s also had a fire a few years ago, and this congregation has been raising funds to rebuild the church in Iqaluit. So, the children from Nunavit are throatsingers and drummers. It was enchanting. One of their leaders then performed a couple of his own songs; the drums are skin stretched over a hoop, which is waved as it’s played. His graceful movements were as much song as the drum and voice. He sang a song of missing loved ones, and one to seals. The Halifax group was a string ensemble, and they were enthusiastic and great. There is a series of early music coming up in the summer, and a folk festival in August that has been going on for about 20 years, and on Sundays during the summer there is music at the bandstand in the center of town, and I don’t know what other delights lay ahead. The past couple days have been glorious. I don’t know if it’s that, or just finding a new rhythm in my life here, but I have felt a new energy. Finally finished clearing all that horrid bamboo from the back; four loads of it to the dump. Now I can decide what to put in all that space. There are three large pines, so what would be happy growing under pines? I’m wondering if a few rhododendrons would be happy there. And then there is a slope that will be mostly shady once the trees are leafed out. Talking about trees, it seems that yesterday they all decided it’s about time to blossom. I think the one next to the driveway is an apple – will know in another couple days. I’m pretty sure there is a weeping cherry in front of that. I moved all the furniture around the past couple days, and hung paintings; I think you have to be in a place for awhile to know what should be where. It makes it look more settled, not so perching here but I have put down stakes, or nails in the walls. I am going to look at a love-seat pull-out on the weekend that I found on Kijiji – attention, anyone who would like to visit, there will be a spare bed. Part of the rearranging furniture was to maximize the view. The desk was in the back room, facing a wall, which was not how I had imagined it at all. In my dreaming this, I saw sitting at the computer, looking out at the sea, so moved the desk to the front room where I can look out the window at the water, and sky, and boats and birds. So the back room has the sewing machine, and a dresser for storage, and lots of things still piled on the floor and still lots of room. And I changed the bed to the opposite wall, and it seemed to open that room too. I have finished a sweater that had been put aside for too long, and stenciled a baffed out little table that I bought, and made a shopping bag besides all the work in the garden. 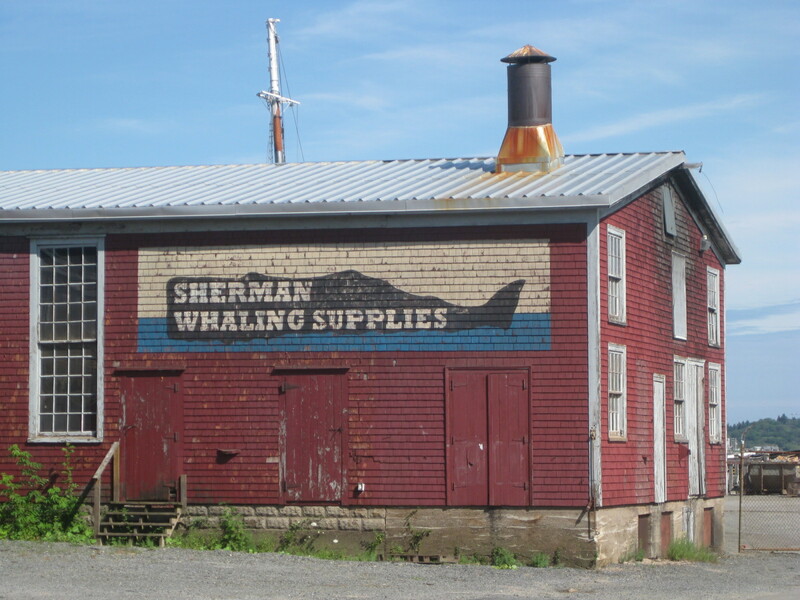 Trips to Bridgewater tend to take all day – it is about 1/2 hour away, and I try to get in not more than once a week, to do laundry mostly but there is also a large grocery with a good selection. I don’t know, now, what takes so much time when I go in, but there you are. I met a kitten yesterday who will be ready to come home with me in a month. Sweet little black cat – aren’t they all sweet? with a white bib and a little orange on one ear. I liked her face and feel like we will be friends when we get to know each other. The farmer’s market opened today – will be every week though the summer. Not much in season yet, but there were lots of baked goods, plants, homegrown beef and pork, and fish. I have been eating much more fish here, of course. A whole package of smoked salmon for $5, lobster $5/pound although I don’t have a pot large enough to cook a lobster yet. I can’t wait for fruits and veggies to come in season. There is someone who makes homemade sauerkraut which I understand is a local favourite. I am blessed to be here, and to have this time. I saw a magnolia in bloom today. There are daffodils everywhere, and the trees are really getting buds now. It was so warm on the weekend that everyone was outside. It was so nice to open the windows, let some fresh air into the apartment. 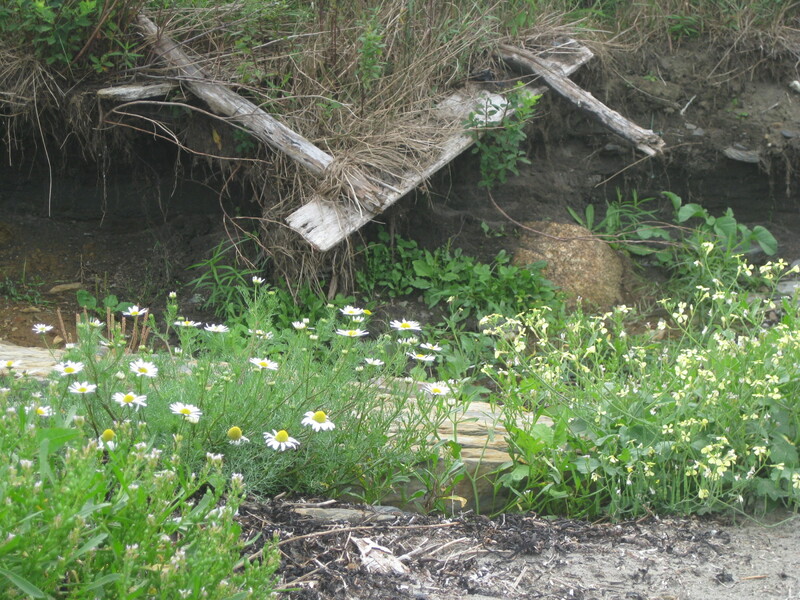 I began clearing the garden in the back – it has been neglected for a long time, and was overrun with some kind of bamboo, the dead stalks standing and lying willy-nilly all over. My neighbours were all so glad to see someone paying attention to this yard, and it felt good. It has been awhile since I have had earth to play in. It is daunting, though. There are just piles of these stalks now, and where are they going to go? How to get them out of here? My neighbour Fay has offered to help me load her pickup and take them to the dump. But even that seems daunting – such stacks! I went to the animal shelter on the weekend to see about a cat/kitten, and then got cold feet. Something in me just backed off the idea of sharing my space with a stranger, and I remembered all the cats I have loved; Spot, Ruby, Willoughby, Flora and wondered if any of these cats could be as wonderful. I guess it is taking on responsibility, too. I just don’t feel ready for a pet. Went to an Acadian Kitchen Party on Sunday. It was a fundraiser for Habitat for Humanity, and had music – cajun and good old stomp your feet fiddle, and a buffet of homemade food with a french flavour – Acadian, Cajun or Quebecois. It was fun, even though I understood only about 1/3 of what was going on. The food was delicious and the music varied and enjoyable. Had a job interview Monday, and feel encouraged that I had the opportunity, and hopeful that it won’t be long until I have some kind of work. I think it would be a position I enjoy. In any case, if not this, something else. 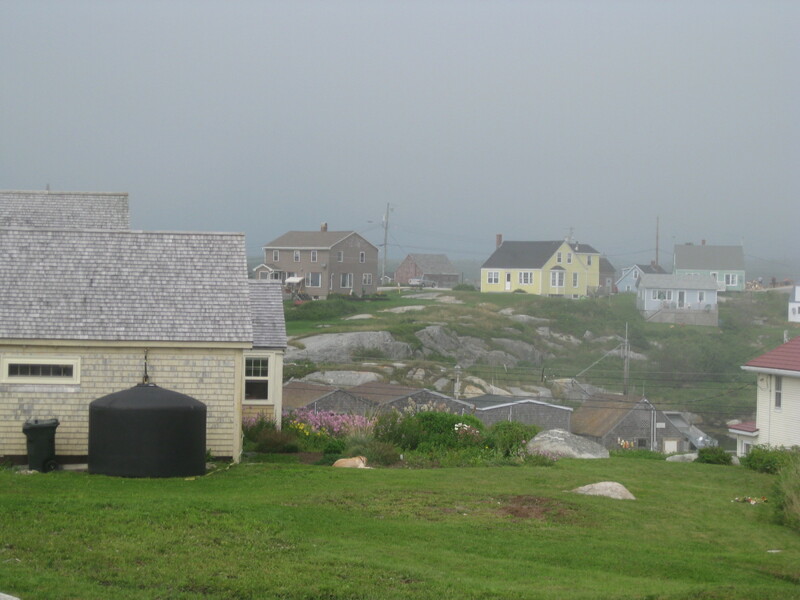 I am going to help out at the Lunenburg Folk Harbour Festival – another way to connect and meet people. I have been feeling flu-ish the past couple days – fever, aching, slept practically all day yesterday and no appetite. Feel somewhat better today, but not very energetic and still achy. Hmmm. I did have a flu shot last fall, so maybe just a mild case if it is flu. Spring is a tease. It snowed Monday, thick flurries and very cold; yesterday I sat on the front porch reading for an hour without a jacket, the sun was so warm. I think I can see buds on some of the trees, or maybe just hoping. It is hard to believe that only a month ago I was driving down that beautiful street in Mississippi lined with white blossoms. Or even the rain and wind here a week ago – today was clear and warm and sunny again, the water calm and blue. Yesterday I saw a small boat come in with lobster traps piled in the back, and then a boat that must have had fish, because the seagulls were following it in. Went for a walk with Janice on Monday on a trail that circles the town – old rail bed and a lovely walk. We saw a heron, and a dozen deer on a hillside across an inlet of water. I think the trail is 2 or 2.5 km, perfect for a stroll. I am walking to the post office every day to pick up mail, and the library is only about ten minutes. Also, back to the morning yoga routine, and it feels so good. I am feeling like I must begin to structure my days a little more now. The major settling in, looking after details has been done. I don’t want to let this time get away from me until I start a work routine; it is so valuable, my own time. It’s ok to do nothing, I don’t think busyness for the sake of being busy is so good, but I also don’t want to look back and say, what did I do with all those weeks? Got the oil changed in Bella today – overdue. I feel like she has been so good to me, and I have been negligent. The mechanic said it looked good though, and was amazed when he looked under the hood at what good condition everything is for a seventeen year old vehicle. Tomorrow off to a farmer’s market in the morning in Mahone Bay. I hope I find some fresh maple syrup.